Fasting is a powerful form of exercise. Some fast for a spiritual exercise. Some fast for personal gains. For all religious believers, spiritual fast is recommended. and water for a certain period of time and it must be accompanied with prayer. that some things can only be done through fasting and praying (Mark 9:29). without prayer is merely a hunger strike. and disheveled so people will admire them for their fasting. I tell you the truth, that is the only reward they will ever get. But when you fast, comb your hair and wash your face. who knows what you do in private. And your Father, who sees everything, will reward you. and their nation was spared from destruction. For deliverance – Jesus encouraged his disciples that deliverance can only come by prayer and fasting. Joel all sought God’s face over different situations and God answered them. Fast because God commanded it to the children of Israel. (spiritual Israelites - Hebrews 8:10-12, Jeremiah 31:31-34 and Ezekiel 36:26-28). delicacies that they might remain pure before God. which is death unless the king accepts her visit by pointing his rod at her. Esther won the king's heart and she was able to change the course of history. after which he was hungry. Prophet Elijah was empowered for forty days and forty nights for a spiritual journey. All believers should fast and pray, the Bible encourages believers to fast and pray. 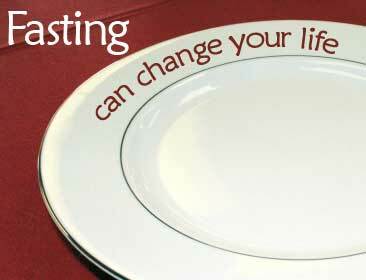 Fasting can make the impossible possible. Whatever your reason for fasting is to make sure it is the true fasting recognized by God.